Make your kids know the different children's book that they should read. 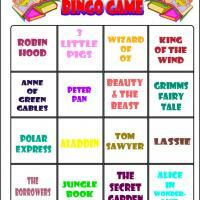 Print this bingo card that features different children's story books, and make your kids get interested in reading these books. This is the first card out of the 8 that we have and it comes with a printable tiles.